Scene from the The Psychic Diva TV Show with Jordana & Diana with neigbor Tom. 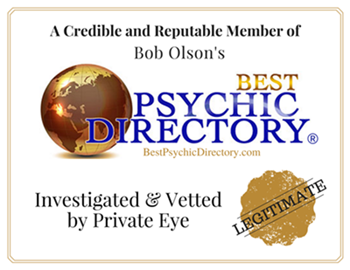 The show is a spoof on the funnier side of the psychic business. This show features two psychics, who are totally dedicated to their abilities, who are psychics to the entertainment community, who are more outrageous than the outrageous performers who come to them for readings. OUR TWO MINUTE SIZZLE VDEO OF OUR REALITY SHOW SPOOF "THE PSYCHICS" THE SHOW STARS JORDANA AND HER FRIENDS THE PSYCHICS, CHANNELERS, MEDIUMS, PROGNOSTICATORS, ETC. 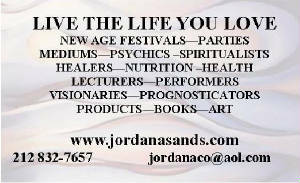 JORDANA AND HER FRIENDS ARE PSYCHICS TO THE CREATIVE COMMUNITY I NEW YORK CITY. 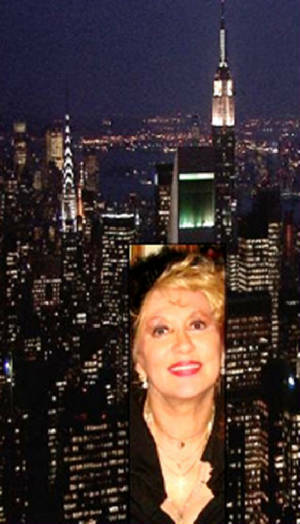 THE VIEWING AUDIENCE WILL GET TO MEET AND KNOW SOME OF NEW YORKS MOST FASCINATING CRTEATIVE PEOPLE. . WE WILL FILM ACTUAL READINGS AS WELL AS TAKE THE AUDIENCE ALONG WITH US IN OUR VARIOUS ACTIVITIES. ONE THING IS FOR SURE ALL WILL BE PRESENTED WITH A SENSE OF HUMOR AND WE WILL SHARE OUR MESSAGES THAT WILL ALWAYS BE POSITIVE AND UP LIFTING. WE WILL SHARE SOME OF THE CRAZY EXPERIENCES THAT WE HAVE EXPERIENCED THROUGHOUT OUR CAREERS. WE WILL INTRODUCE A CAST OF CHARACTERS LIKE NO OTHER. FROM ET'S TO ACTORS SINGERS WRITERS AND ALL THOSE INTERESTED IN THE PARANORMAL.